enhanced safety and driving comfort. SACHS shock absorbers are of the highest quality, which is one reason why numerous well-known automotive manufacturers fit them as standard in new vehicles. Every year, over 10 million new cars roll off the assembly line fitted with SACHS products. Equally, SACHS applies its OE expertise to spare parts production, so its aftermarket shock absorbers are always state-of-the-art, which means a safer, more comfortable and contemporary drive. No matter what challenges the road presents, the chassis performance and dynamics they provide ensure perfect road grip and cornering. SACHS has a shock absorber for every requirement, e.g. monotube and twin-tube dampers, suspension struts, spring carriers (shock absorbers with spring plate) and suspension cylinders (shock absorbers with hydraulic leveling system). A special product highlight is the SACHS lightweight aluminum shock absorber, which combines the effects of several lightweight design measures. The shock absorber reservoir tube features a variable wall thickness for guaranteed strength where high loads occur. The other areas are designed as thin as possible in order to save weight. Volume production of this high-tech product is based on a complex procedure that generates the different wall thicknesses in up to 17 coordinated process steps. Besides shock absorbers, SACHS employs lightweight design in its suspension struts. In gas-filled monotube dampers, the working cylinder is filled with oil and gas at a high pressure of around 25 to 30 bar. The floating separating piston provides absolutely leakproof separation between the oil and the gas. The SACHS monotube damper can be installed in any position. It operates at higher pressure than the twin-tube damper. The advantages of this are that it makes the lamellar valves in the piston highly responsive and also prevents foaming or bubble formation in the hydraulic oil. Vehicle vibrations push the shock absorber together. The piston valve provides resistance against the oil that flows up from the cavity below the piston. This slows the downstroke. The gas cushion compresses by the volume of the retracting piston rod. Vehicle vibrations pull the shock absorber apart. The piston valve provides resistance against the oil that flows down from the cavity above the piston. This slows the upstroke. The gas cushion expands by the volume of the extending piston rod. 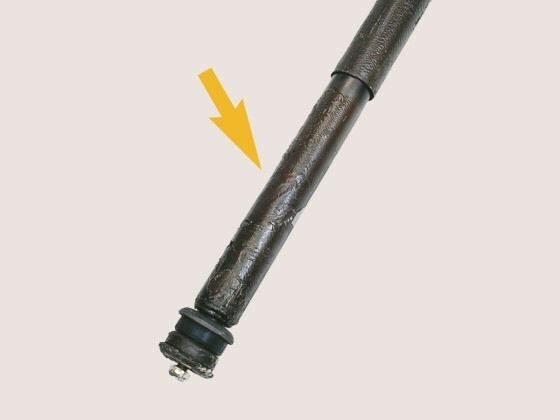 Twin-tube dampers have two oil-filled cavities: the working cavity in which the piston and piston rod move, and the compensating cavity. The compensating cavity is located between the working cylinder and the reservoir tube, and is filled 2/3 with oil and 1/3 with air or gas. As a result, the twin-tube damper has a shorter installation length than its monotube equivalent. The damping force characteristics of the twin-tube damper are specifically designed for each vehicle type in that they are adapted to the vehicle weight, axle design and suspension springs. Vehicle vibrations push the shock absorber together, with the bottom valve determining the damping. 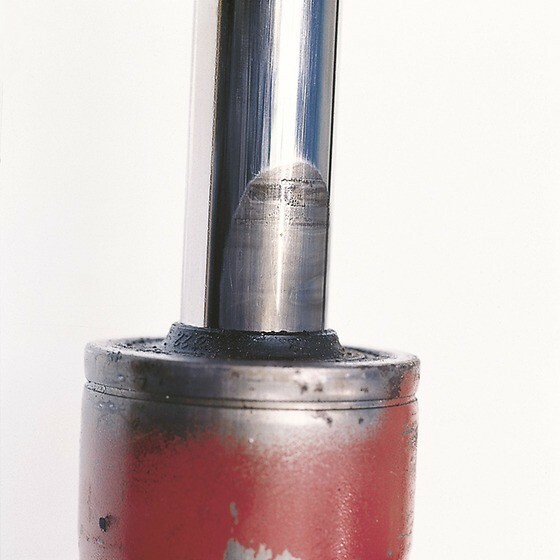 The oil displaced by the retracting piston rod flows into the compensating cavity, where the bottom valve resists this flow and thus slows down the stroke. The piston valve is open. In this state it functions as a non-return valve. Vehicle vibrations pull the shock absorber apart, with the bottom valve determining the damping. Via the open non-return valve in the bottom valve, the oil required back in the working cavity can flow unobstructed out of the compensating cavity. What does a passenger car shock absorber do? A passenger car shock absorber, together with the spring, forms the end link between the suspension and the vehicle body. It is a vital safety-related component that reduces vibrations in the suspension spring, slowing it down and thus reducing vehicle body movement. The term “shock absorber” is therefore actually misleading – strictly speaking, it’s a “vibration absorber”. The impact of driving over uneven ground is absorbed by the suspension. It prevents the sprung masses (M2 = vehicle body and payload) from coming into contact with the unsprung masses (M1 = axle and wheels). Following compression, the suspension springs attempt to push the sprung masses away from the unsprung masses. The shock absorbers allow the resulting axle and body vibrations to subside. Some valuable tips on how workshops can correctly install shock absorbers are included below. Due to the many different types of shock absorber, we can only provide you with a few basic instructions on replacing shock absorbers here. WARNING:Risk of serious injury caused by the sudden release of springs. Always use a suitable spring compressor. If you want to replace vibration dampers, use a suitable tool (e.g. a transmission jack) to support the wheel suspension before removing the shock absorbers. Loosen and remove all mounting bolts, and remove the shock absorber and/or spring strut. If you also remove a spring strut, you must observe the installation instructions and safety regulations from the manufacturer. For the assembly and installation, replace all of the mounting bolts and install the supplied accessory. 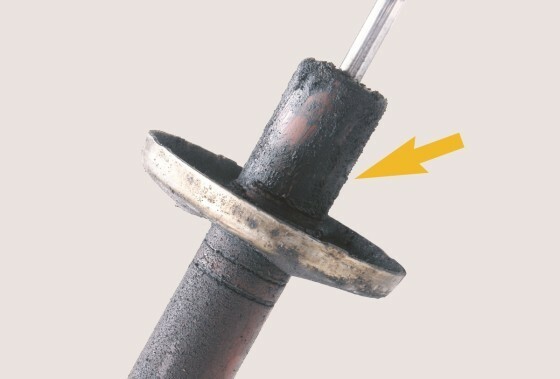 Observe the torque that is specified by the vehicle manufacturer for the mounting bolts.Secure any cables that may have been detached from the ABS sensors (wheel speed sensors) and electrical lining wear indicator before replacing the shock absorber, as well as the brake hose, back into the corresponding brackets. Before the removal, use a suitable tool to support the chassis (e.g. a transmission jack). If required, remove any trims from the vehicle interior in order to reach the damper’s upper mounting bolts. 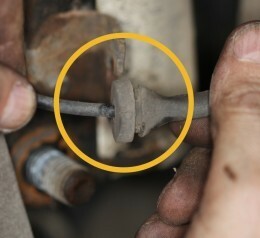 Loosen and remove all mounting bolts, and remove the shock absorber. For the installation, replace all of the mounting bolts and install the supplied accessory. 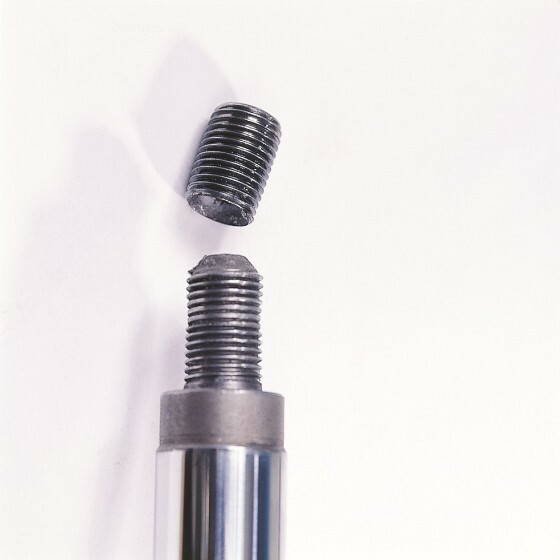 Observe any existing markings for the installation and the torque that is specified by the vehicle manufacturer for the mounting bolts (see illustration). In order to guarantee safe vehicle handling, always replace both shock absorbers on an axle! After replacing the shock absorbers, carry out an axle alignment. Then carry out a test drive in order to check that they are working correctly. Improper assembly or accidents can lead to a distortion of shocks and dampers and later to serious component damage. ZF Aftermarket describes what to pay attention to during inspection and installation. Distortion can severely reduce the service life of shocks and dampers. ZF Aftermarket explains the causes as well as the effects on the chassis component technology and suggests preventive solutions. 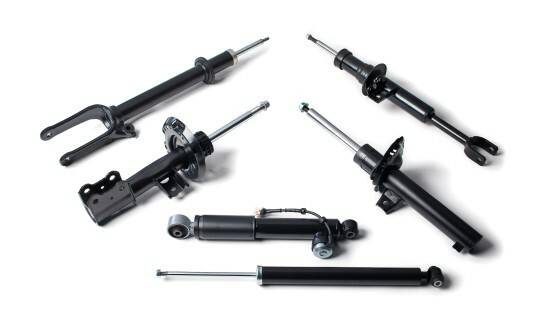 ZF Aftermarket names two main reasons for shock absorber/damper distortion: Firstly, even minor accidents may lead to the shocks’ and dampers’ mounting points being displaced so that they are no longer flush. Frequently, the piston rod is also bent in the process. Secondly, lack of care during installation is a frequent cause. When the axle is still suspended, the shocks and dampers must not be tightened firmly – the reason: Once the vehicle stands on the ground again, the mounting points are not properly aligned anymore either. The serious impact on the inner workings of the shock or damper is identical in both cases. 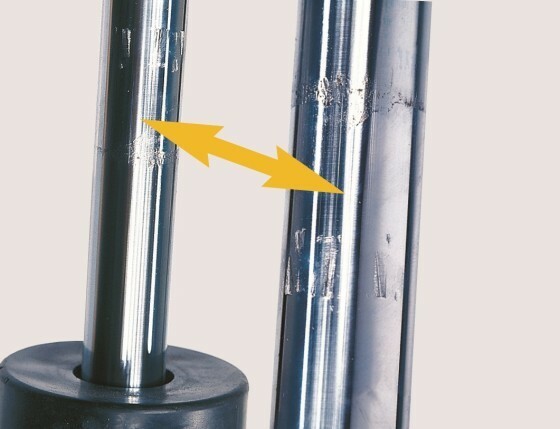 Due to the distortions, one side of the chromium plating on the piston rod surface presses against the guide and sealing unit with each stroke – and is ultimately worn through. Thisresults in strong wear on the seals and piston rod guide, mostly ending in a loss of oil and, thus, performance of the shock or damper. To prevent the described distortions and defects, workshops should follow one simple rule: As a basic principle, shocks or dampers may only be tightened once the vehicle stands on its wheels – or when the wheels are pressed upwards with tools such as hydraulic jacks. Also, the specified tightening torque must be observed. Last but not least, shocks and dampers installed under tension or a fastening nut tightened too firmly may lead to the pin joint tearing out. To prevent material overexpansion due to excessive tightening torques, it must be observed that, as a rule, no impact wrenches must be used when performing this work. If these ZF Aftermarket tips are observed, shocks and dampers will function safely and reliably in the long term. This provides peace of mind for workshop customers too. 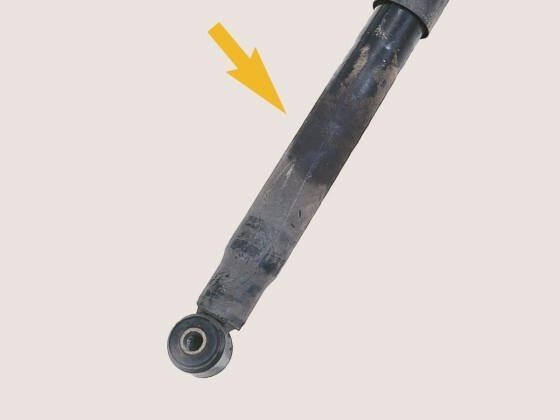 Although a shock absorber or damper may appear to have a leak, this may not in fact be the case. A certain amount of “perspiration” is normal, and even necessary to lubricate the piston rod seal. Never diagnose shocks and dampers after the vehicle has been driven in the rain – they should be dry. Feel the shock absorber/damper with dry fingers. If your fingers remain dry, the shock absorber/damper is not leaking. 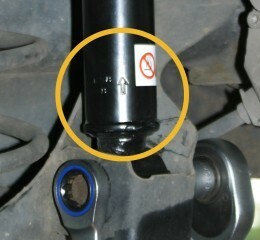 If you are still not sure, wipe off the shock absorber/damper. Check again a few days later! If the shock absorber/damper was bone-dry, residue from this oil mist will be visible. This is not a malfunction. Following extended periods of use, oil mist residue may be visible on around 1/3 of the container tube. Underbody sealant or corrosion-preventive wax collects on the shocks and dampers. These substances do not belong on the shocks and dampers, so remove them! Accumulated road dirt is also often wrongly diagnosed as leakage. Always tighten the shocks and dampers only after the vehicle is standing on its wheels. 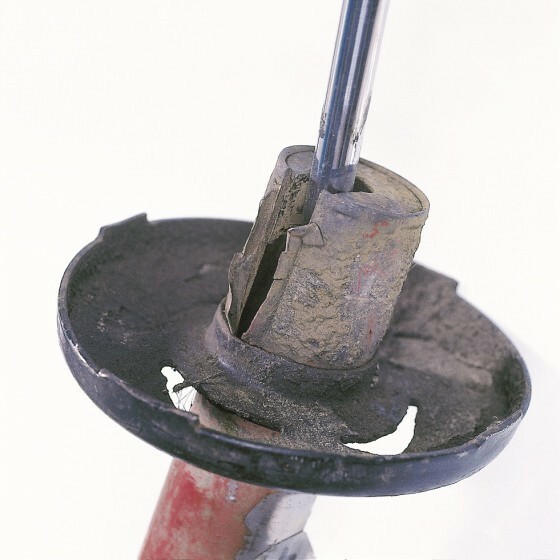 The piston rod was gripped with pliers during installation, which damaged its surface. 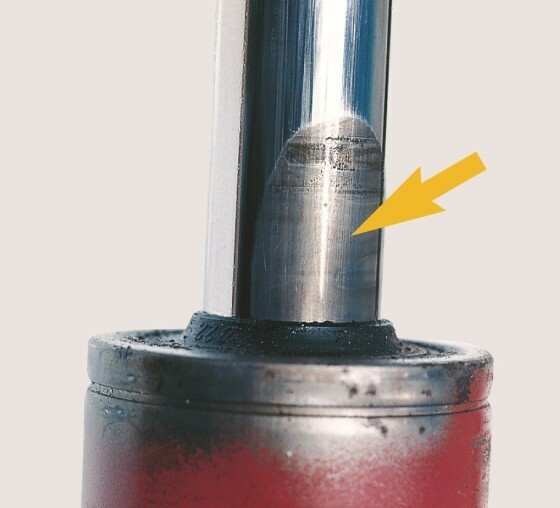 A rough piston rod surface causes the seal to tear, leading to oil loss and reduced performance. Use a special tool to hold the piston rod.